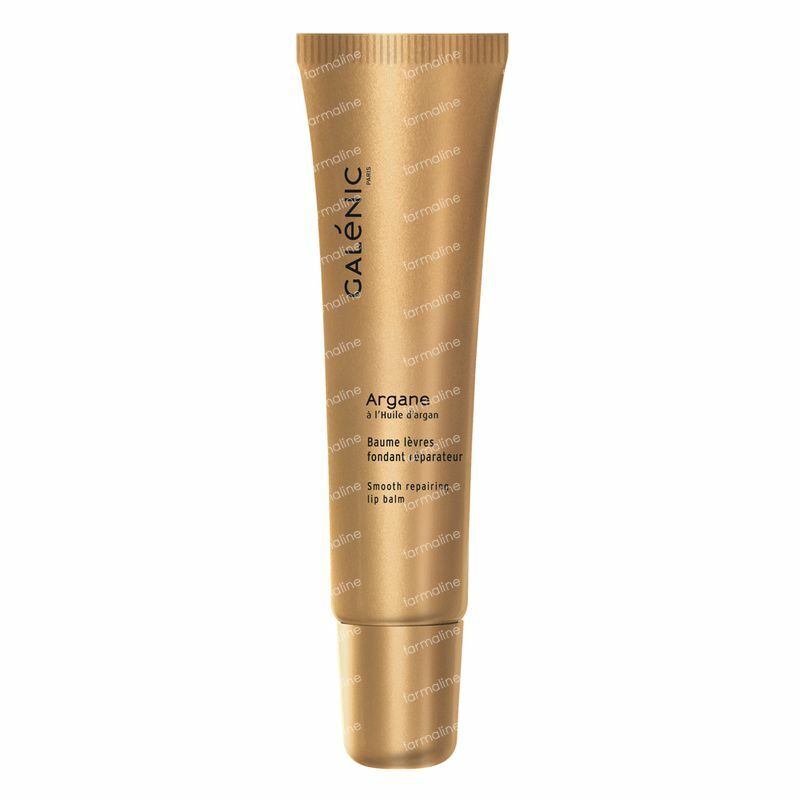 Galénic Argane Lip Balm Nutri-Repairing 15 ml order online. 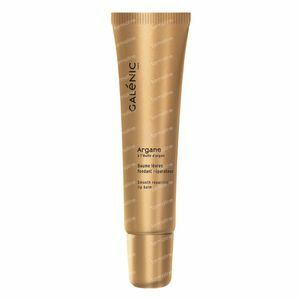 Rich and melting Smooth Repairing Lip Balm with a caramel-vanilla fragrance intensely nourishes and instantly soothes the lips. Apply to dry lips at any time of day, as needed. Discover your Nourishing skincare ritual for dry skin. RICINUS COMMUNIS (CASTOR) SEED OIL (RICINUS COMMUNIS SEED OIL). DIPENTAERYTHRITYL TETRAHYDROXYSTEARATE/TETRAISOSTEARATE. MINERAL OIL (PARAFFINUM LIQUIDUM). ISOPROPYL PALMITATE. BEHENYL ALCOHOL. CETEARYL ETHYLHEXANOATE. HYDROGENATED POLYISOBUTENE. VP/HEXADECENE COPOLYMER. POLYETHYLENE. BEESWAX (CERA ALBA). ARGANIA SPINOSA KERNEL OIL. BETA-SITOSTEROL. BHT. FRAGRANCE (PARFUM). IRON OXIDES (CI 77492). ISOPROPYL MYRISTATE. TITANIUM DIOXIDE (CI 77891). TOCOPHEROL. TOCOPHERYL ACETATE.